Two nations sign a US$9-billion currency swap deal to boost Argentina's foreign currency reserves, Central Bank announces, as more than 30 other deals are inked by two leaders. Mauricio Macri signed a number of new trade deals with his Chinese counterpart yesterday, a day after the successful G20 Leaders Summit drew to a close. The move will see the Asian giant expands its deep ties with Latin America. Macri and Xi Jinping announced the more than 30 agriculture and investment deals. The deals include an agreement to export Argentine cherries to China and an expansion of a currency swap. China is among Argentina's top export markets, especially for agricultural commodities that are the engine of its economy. It is also one of Argentina's biggest lenders, financing about US$18.2 billion in infrastructure and other projects, according to the Inter-American Dialogue, a Washington-based think tank. "China's development benefits Argentina, our region and the world," Macri said during a ceremony at the Olivos presidential residence, where he hosted the Chinese leader. In one of the biggest takeaways from the bilateral meeting, the two nations signed a US$9-billion currency swap deal to boost Argentina's foreign currency reserves, the Central Bank announced. Beijing and Buenos Aires also agreed another currency swap back in 2014, under ex-president Cristina Fernández de Kirchner, which provided US$11 billion for Argentina's Treasury reserves. Struggling to recover after a currency crisis earlier this year, Argentina sought the help of the International Monetary Fund, which approved a $56 billion loan package. This latest agreement will "contribute to greater financial stability and also facilitate trade" between China and Argentina, the bank said in a statement. A currency swap sees two parties agree to exchange a certain amount of foreign currency at a pre-determined rate, protecting against fluctuations. 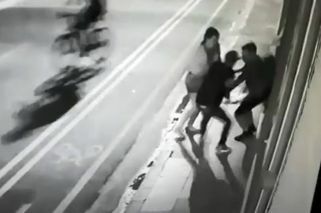 The Central Bank will be able to draw on these funds in an emergency. After Brazil, China is Argentina's second largest trade partner. In 2017, the relationship was firmly in Beijing's favour: China exported US$17 billion of goods to Argentina, while importing US$8 billion of goods from that country. The Xi-Macri face-to-face comes after US officials said they had reached a 90-day truce in the trade dispute with China that has rattled financial markets and imperiled global economic growth. That announcement followed a Saturday dinner meeting between Xi and US President Donald Trump. 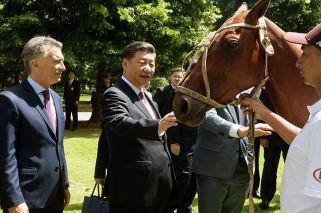 Argentina also granted Xi the top honour awarded to foreign politicians, and the Argentine Polo Association gifted the Chinese leader a polo horse. Macri said that he wants the sport to make a comeback in China. 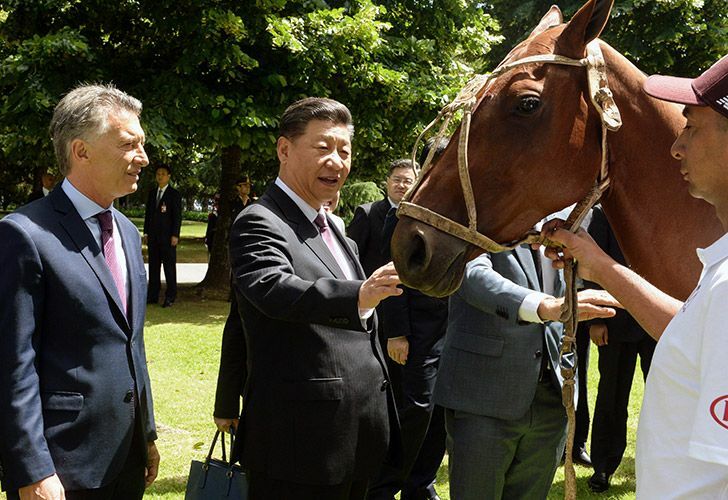 Photos released by the Presidency showed a smiling Xi petting the pony with one hand and holding the reins with the other. Macri also put a red polo helmet emblazoned with China's flag on Xi's head. Xi congratulated Macri on a successful summit and said both of their nations believe the G20 spirit of solidarity must prevail in "the firm defence of multilateralism and free trade to build an open global economy and foment the world's prosperity and stability."